Georgia’s Filipino & Oriental Food Supply (‘we’ or ‘us’ or ‘our’) gather and process your personal information in accordance with this privacy notice and in compliance with the relevant data protection Regulation and laws. This notice provides you with the necessary information regarding your rights and our obligations, and explains how, why and when we process your personal data. Georgia’s Filipino & Oriental Food Supply registered office is at 482 Elswick Road, Newcastle Upon Tyne, NE4 8ED and we are a company registered under the Food Premises (Registration) Regulation 1991. Our designated Responsible Person for the organisation is Sally Sellars, who can be contacted at 482 Elswick Road, Newcastle Upon Tyne, NE4 8ED. 12 Salamanca Place – London SE17HB – UK, Phone: +44 (0) 20 7378 1100 Fax: + 44 (0) 20 7407 1101,Website: www.smallworldfs.com, FCA FRN 504482 MSB Registration Number: 12115760. Georgia’s Filipino & Oriental Food Supply works as per their Company Policy. Smallworld is the Data Controller and Georgia’s Filipino & Oriental Food Supply is the Data Processor. Georgia’s Filipino & Oriental Food Supply acts as an Agent of Western Union. Georgia’s Filipino & Oriental Food Supply works as per their Company Policy. Western Union is the Data Controller and Georgia’s Filipino & Oriental Food Supply is the Data Processor. Georgia’s Filipino & Oriental Food Supply acts as Contractor of LBC EXPRESS LTD registered office is at Unit 9 Victoria Industrial Estate, Victoria Road, Acton, London, W3 6UU, Tel No. : 0203 110 0074, Mobile No. : 0743 211 6741 / 0797 670 5325. Website and Social Media Accounts :www.lbcexpress.com; www.facebook.com; www.twitter.com/lbcexpress. Georgia’s Filipino & Oriental Food Supply works as per their Company Policy. LBC Express Limited is the Data Controller and Georgia’s Filipino & Oriental Food Supply is the Data Processor. Our website address is: https://georgiafilipinoshop.com. 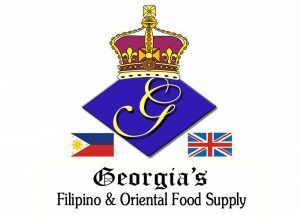 Georgia’s Filipino & Oriental Food Supply, processes your personal information to meet our legal, statutory and contractual obligations and to provide you with our products and services. We will never collect any unnecessary personal data from you and do not process your information in any way, other than as specified in this notice. If you complete the registration process with us you confirm that all the information provided by you is accurate and complete. By providing your personal data to us, you consent to us using that information to carry out an any transaction you requested from us. By completing and/or opting in to one of our printed registration forms or online forms, you agree that Georgia’s Filipino & Oriental Food Supply may use your personal data to contact you by e-mail, text message, messenger or telephone call to assist you with your order/cargo/remittance transaction or to provide you with promotional offers and information about similar products. We may share and/or transfer your personal information to our associated company, LCC Trans Sending Ltd and/or LBC Express Ltd in order to market and promote that company’s products and services. If you do not wish to receive marketing information, you may opt-out of receiving these communications from us by following the instructions at the end of the e-mail or text message which we send to you or by contacting us over the phone. Closed Circuit Television Systems (CCTVS) are installed in Georgia’s Filipino & Oriental Food Supply Premises and installed by ABEL Alarm Company under their company policies. We do not share or disclose any of your personal information without your consent, other than for the purposes specified in this notice or where there is a legal requirement. Georgia’s Filipino & Oriental Food Supply uses third-parties to provide the below services and business functions; however, all processors acting on our behalf only process your data in accordance with instructions from us and comply fully with this privacy notice, the data protection laws and any other appropriate confidentiality and security measures. You are not obligated to provide your personal information to Georgia’s Filipino & Oriental Food Supply, however, as this information is required for us to provide you with our services/legitimate interests, we will not be able to offer some/all our services without it. We use the legitimate interests’ legal basis for processing your order/cargo/remittance requests and informing you of any applicable updates and have identified that our interests are to fulfil your order/cargo/remittance request and keep you updated. Georgia Filipino and Oriental Food Supply only ever retains personal information for as long as is necessary and we have strict review and retention policies in place to meet these obligations. We are required under UK tax law to keep your basic personal data (name, address, contact details) for a minimum of 6 years after which time it will be destroyed. We share information with third parties who help us provide our orders and store services to you; for example: Paypal and our shipping partner.